If you were blind and walked into a coffee shop, how would you find the counter to place an order? New technology being installed in Toronto is making that easy. If you were blind and walked into a coffee shop, how would you find the counter so you could order? 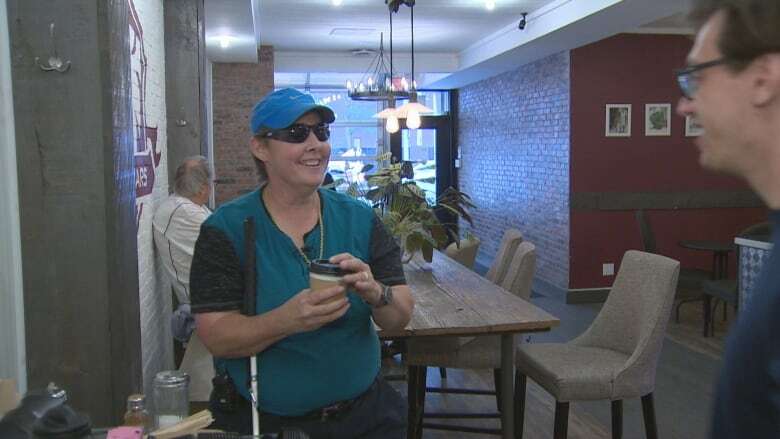 That's easy for Susan Vaile at 9 Bars Coffee in Toronto — she just needs to listen to her smartphone: "Walk forward six metres to carpet. Service counter at 9 o' clock." Sure enough, there it is, and within minutes, Vaile has ordered and received a small coffee with double cream and double sugar. 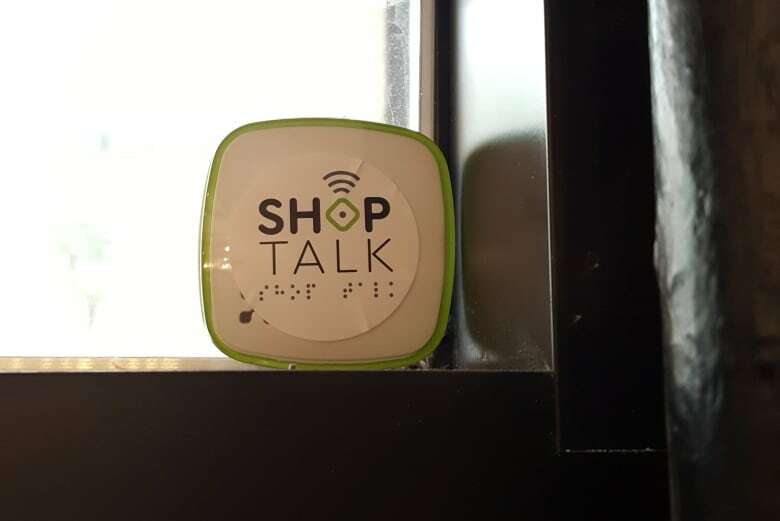 Similar verbal directions are already available to customers like Vaile at several other businesses in the Yonge and St. Clair neighbourhood, thanks to a pilot project called ShopTalk launched by the CNIB, a charity that provides community-based support for people who are blind or partially sighted. The project installs and programs palm-sized Apple iBeacons that use Bluetooth wireless signals to connect with nearby users' phones via an iPhone app called BlindSquare. It provides directions to help them navigate through doors and vestibules, to service counters, washrooms, and other important parts of buildings such as stores and restaurants. Vaile says the beacons make it possible for customers like herself to find their way independently. "They don't need to ask somebody," she said. "It's allowing you to have some autonomy." The beacon technology has already been used in other cities around the world, most notably in Wellington, New Zealand. There, a project called "No Dark Doors" has already installed the beacons in 200 downtown shops , and plans to expand to the city's transit system and areas outside the city's central business district. The CNIB is hoping to similarly install 205 beacons by next February around its community hub near St. Clair subway station, said Kat Clarke, a spokeswoman for the CNIB. "Somebody who comes to our programs might want to eat after, or do some shopping, so we really wanted our immediate neighbourhood to be accessible." Vaile, who just turned 56, lost her sight to complications of Type 1 diabetes and several strokes in her 30s. Being an artist and photographer, she was devastated. She recounted the challenges of learning to cross the street or walk up and down steps without the use of her eyes. 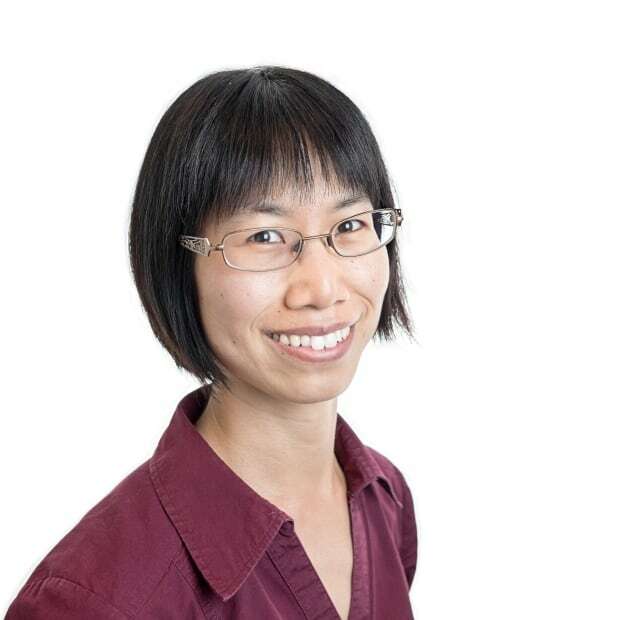 She's grateful for the help for CNIB volunteers who guided her through the process. "Being outside when you can't see — it doesn't matter whether you're used to it or not — is a scary prospect," she said. 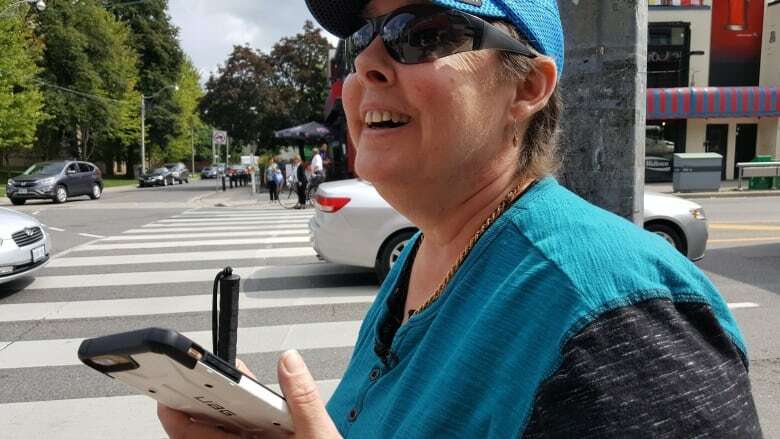 Now the self-described "technology buff" gives back by volunteering to help the CNIB test new technologies like the blind beacons. Vaile lives just a block away from the CNIB's community hub. She walks down the street confidently with a cane in one hand and a smartphone in the other. As she passes various shops and landmarks, BlindSquare lets her know how far away they are and in what direction. But until now, the app has only worked outside. The beacons have the potential to help open new doors for people like her. The CNIB has been reaching out to local businesses to let them know that they can get the beacons installed for free. They're paid for with a $26,000 grant from the Rick Hansen Foundation's Access4All Program. The beacon technology itself isn't that new — Apple launched its version, iBeacon, in 2013. It initially used the technology to welcome customers to its own stores and encourage them to update their software. But it soon faced criticism about "potentially creepy" uses by retailers who were using it to track customers and push coupons to their phones. Clarke says that's one reason the CNIB is programming the beacons itself. "We wouldn't want the message to be '2 for 1' or 'Today the special is this.' Some people may be interested in that information, but really we're trying to get people to navigate the store." She hopes the beacons will start a conversation and lead to even more positive change. "Once the beacon's in, we want to go back to businesses and say, 'You've got the beacon, what can we do to help you provide accessible customer service?'" iBeacon: How much privacy would you give up for a coupon?